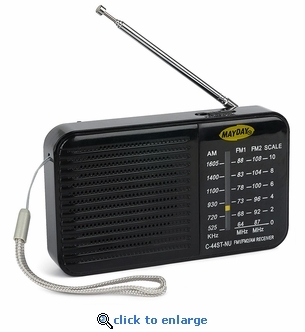 The compact size of this Mayday AM/FM pocket radio makes it easy to take anywhere. This handheld radio fits in your pocket, purse or backpack, and it makes a great addition to your emergency survival kit. This radio features AM (525-1605 KHz) and two FM bands (64-88MHz and 87-108MHz).